If you’re getting ready to learn about hunting, then you’ll need to carefully choose your hunting gear. One of the tools you’ll need is a pair of good quality binoculars. These, however, don’t often come cheap and at this point, since you’re still a beginner, it also makes sense to choose a more affordable set. As you become more skilled at hunting, you will likely want to invest in higher quality binoculars but for now, you can opt for binoculars that strike a balance between quality and your budget. 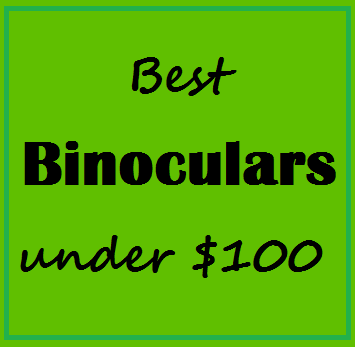 Take a look at this guide to finding the best budget-friendly binoculars and the most recommended products. The size of the objective lens will determine how much detail you will be able to see. You can tell the objective lens size from the latter number on the binoculars specs; in 6×30, for example, it’s 30. The higher the number, the greater the detail the lens can provide. However, this also means the binoculars will be more expensive. The field of view or FOV measurement will indicate how narrow or wide your view will be through the binoculars. A higher number means more scope and a wider view while a lower number corresponds to a narrow or smaller view. FOV is indirectly related to magnification. As you zoom in on your target for more details, your field of view becomes narrow. Zooming out, meanwhile, means less detail but a larger field of view, allowing you to see more things around you. Your choice of FOV and magnification will then depend on what you’re hunting and where. For those who wear eyeglasses, eye relief is an important consideration. This refers to how far your eye is from the binocular’s lens. People without glasses will have the binocular’s lens as close to the eye as possible while for those who wear glasses, these will be in between their eye and the binocular’s lens, putting some distance in the middle. You may decide to remove your glasses when using your binoculars or you can choose binoculars with longer eye relief instead, between 14 to 15 mm. High-quality binoculars tend to weigh more because of their powerful lenses. However, carrying around and using heavy binoculars while you’re hunting in the wild is not ideal. Instead, try to look for a pair of moderately good quality that is also comfortable to use and not too bulky or inconvenient to bring. When you’re out hunting in the wild, it’s inevitable that you and your gear will be exposed to either heat, wind, rain or cold. This is why it’s important to get exceptionally durable binoculars with weather-proof features such as being able to repel water and resist fogging. The Carson Mossy Oak Caribou are top performing binoculars with a 42 mm objective lens. Their field of view is 315 feet at 1,000 yards and you can zoom in up to 10x. These binoculars are also fully water-resistant and they prevent fogging. They’re sturdily built as well owing to the rubberized armor coating. On top of that, they’re attractively designed. Most popular for their telescopes but also producing decent quality, affordable binoculars is Celestron particularly their Celestron 71347 Outland X 10×42 Binoculars. These binoculars are exceptionally durable and capable of standing up to rough weather conditions. They’re also lightweight and comfortable to carry. The objective lens measures 42 mm with a 10x magnification ability, plus they’re waterproof and can resist fogging. An excellent choice for its compact size and hardy construction is the Leupold BX-1 Yosemite 6×30. The objective lens is 30mm which is not bad considering its low price. These binoculars have a durable build because they’re encased in rubber armor. They also resist both water and fogging. When it comes to specs, they offer 6x magnification and an impressive field of view feature, 420 feet at 1,000 yards. Makers of first-rate imaging technology, Nikon also manufactures competitive binoculars such as the Nikon 8256 Aculon. The rubber armor casing does a great job of protecting these binoculars from the elements. The field of view is one of the best, 470 feet at 1000 yards, with magnification at 8x and the objective lens at par with other rivals at 42mm. Another praiseworthy product from Nikon is the Nikon Aculon A211 8×42. These binoculars are light and travel-friendly and can withstand all kinds of weather. These powerful binoculars feature an objective lens size of 42 mm and a field of view of 420 feet. They’re both fog-proof and waterproof as well and magnification reaches a maximum of 8x. The Bushnell brand has several topnotch binoculars and one of the best for its price range is the Bushnell Falcon 7×35. With its low price point, the 35mm objective lens already provides satisfactory performance. The 7x zooming capacity is useful and these binoculars are not too bulky for carrying around. Aside from that, the field of view of these binoculars is as wide as higher end models at 420 ft. at 1,000 yards. If you often hunt in dry places, the Bushnell PowerView is a great option. These binoculars have a larger than most objective lens at 50 mm. Details can also be sharpened considerably thanks to the 10x zoom feature. Despite the high magnification capacity, the field of view doesn’t suffer much; it’s still pretty good at 341 feet at 1000 yards.